Jasdev Singh Sandhu Institute of Engineering & Technology (JSSIET), Patiala was founded in the year 2008. The foundation at present is successfully running many pioneering educational institutes at Jasdev Singh Sandhu Campus situated at Kauli, Patiala. . It has six institutions currently running under this university and which are affiliated Punjab technical University, Patiala. The institution is approved by the AICTE, New Delhi. Campus: The institution is situated on Patiala-Chandigarh Highway about 6 km from Punjabi University Patiala. The campus bears the five other institutions within it. All the institutes are spacious and spread over lush green campus with natural surroundings, are having good infrastructure with well-furnished airy and spacious buildings. These institutions possess fully equipped workshops, science and languages laboratory, up dated and properly managed libraries and modern classrooms. Facilities: Multifarious activities which include educational trips, field trips, sports activities, literary events, extension lectures, workshops, conferences, seminars and various competitions are being taken up in these institutions. The institution has a fleet of buses to ferry students from various near and far away areas. The canteen is also available inside the institute campus. The institution also provides the bus/train passes on yearly basis. 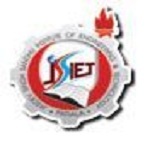 Programmes: The Jasdev Singh Sandhu Institute of Engineering & Technology (JSSIET), Patiala offers various Degree courses in the different fields of Science & Engineering. The institution offered courses in the computer application, post-graduate diploma in computer application, business administration, commerce, law and agriculture. The course offered in the Agriculture is: B.Sc Agriculture. Placement: Every year a large number of students get placed in the private, public and government organizations by the institution. The institution has very active training & placement cell. It organizes the campus interviews, seminars, workshops, guest lecture by eminent members from the various industries and forwards the resumes of the students. It also provides personality development classes to the students to enhance their confidence level.